Your New Year's resolution was to get outdoors more often. You know why: the experience is good not just for the muscles, but for the brain as well -- both the senses and the intellect. Don't go to a gym and trudge on a machine. Why count so many steps? Instead, pick a park or local fire road and take your cue from what geologists do: pay attention, follow hunches, let yourself wonder, notice everything, and cover a lot of ground. Even walking on the street beats the treadmill trance. Everyone knows the destination sites -- like Muir Woods -- are so crowded no one wants to go there any more. 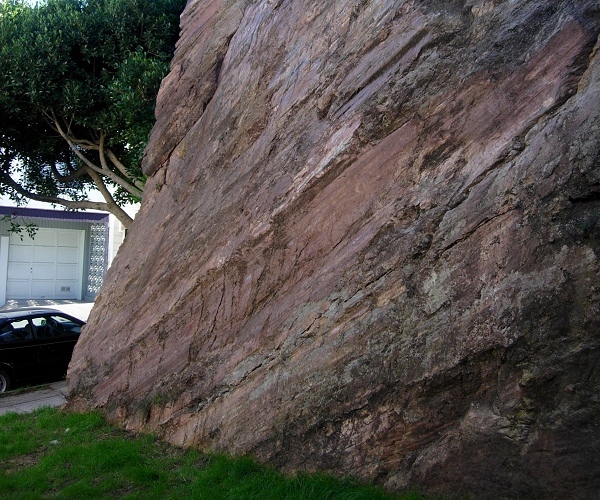 Instead, may I suggest some outings where you can discover the Bay Area's geological wealth. They're not too remote, yet not too tame either. Perhaps you think of rocks as an acquired taste. 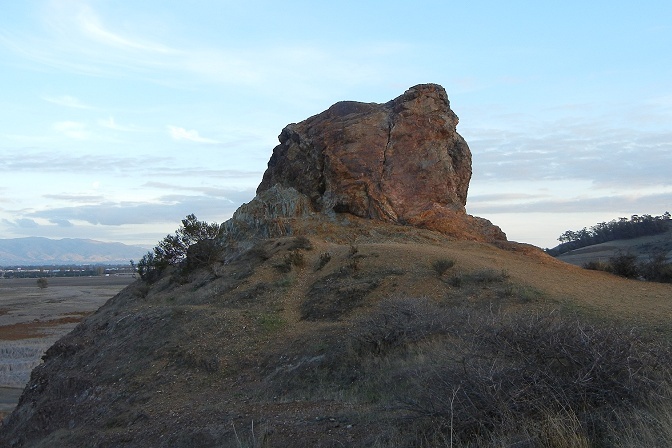 But considering the glee with which young kids interact with rocks and how the schools ignore geology, I have to say that for most adults, rocks are probably a re-acquired taste. Most of the following destinations feature the distinctive stones of our textbook Franciscan Complex. 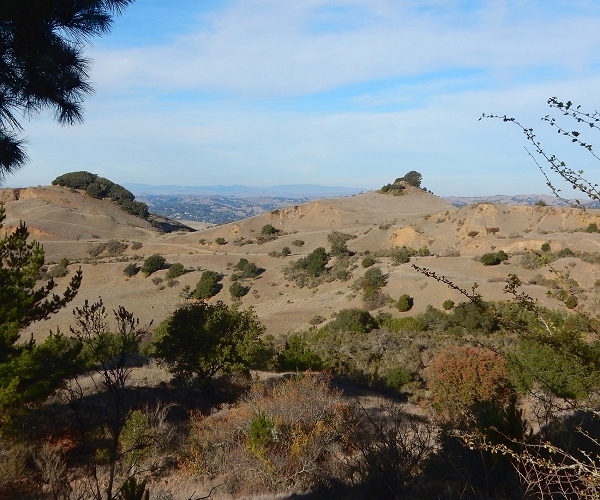 Not every place in the Bay Area has fossils -- in fact, relatively few places have them. And most of those localities are for observing rather than collecting them. Here's where you can observe to your heart's (and brain's) content. Rocks are full of cracks, but only some of those qualify as faults. Faults are cracks where the two sides have moved with respect to each other. The biggest faults shape our landscape as profoundly as the bay, the mountains and the rivers. 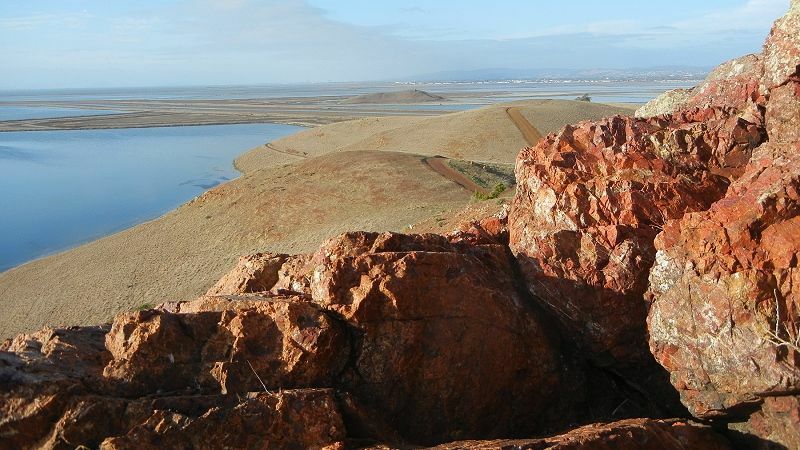 In the old days, many ores and commodities came from local sources. Although those pits are mined out now, the holes in the ground left behind are still interesting. 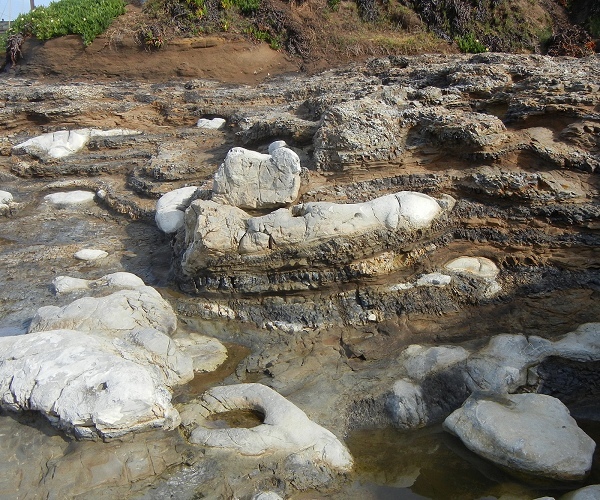 These ones are geologically notable. Our fine mountains are made of interesting rocks, of course, but I think their greatest feature is the views they offer from their sides and tops. These four peaks, signposts of the Bay Area, are the most rewarding.